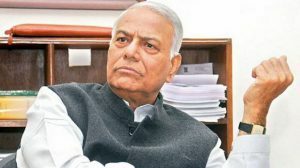 Guwahati, Feb. 10 (IANS): Former Union Minister Yashwant Sinha on Sunday said the Citizenship (Amendment) Bill 2016 will not be passed in the Rajya Sabha even as he insisted that the Modi government is not going to come to power for a second time. “Sometime they do it… In case of important bills, sometimes they are passed by voting amid ruckus in the House. But considering the importance of the Citizenship Bill, I don’t think they will dare to pass the Bill amid ruckus,” he said. “The ongoing session of Parliament will be over in two days and this is the last Parliament session of this government. “This Bill should not be passed because it is incorrect from all angles — legal, constitutional, moral. And from the point of view of Assam Accord it is incorrect. This Bill is also against the ethos of the country. There is nothing like merit in this bill. 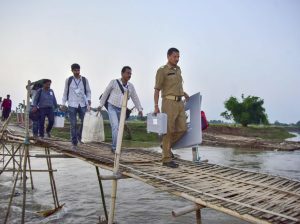 “The Bill has posed an existential question before the people of Assam and northeast. If someone tries to end your existence, obviously he or she will protest and that is the reason the people of the northeast are protesting. “If the entire northeast is standing up against the Bill, it is because it has posed an existential threat to the whole of the region,” he said.